RTÉ CONTRIBUTED €384 million to the Irish economy in 2011, and has supported around 3,550 full-time equivalent jobs across the economy, an independent report says. The Price Waterhouse Cooper report looks into the contribution made by RTÉ to the Irish economy in 2011, as well as providing a profile of the broadcaster and looking at its delivery of key public service objectives. This report illustrates that RTÉ plays a unique and central role in Ireland’s creative economy, not only through the breadth of its broadcast and online output, but also by the direct and indirect jobs it sustains and the opportunities it gives to new writers, journalists, programme makers, performers and other creative professionals. According to the report, the dominant feature of the RTÉ competitive landscape is terrestrial access to same language services such as the BBC, and this is compounded by competition from broadcasters in the UK market such as Sky, UTV and Channel 4. However, it said that despite this, RTÉ continues to have very high audience shares relative to other public service broadcasters and commercial broadcasters across Europe. It adds that there are high levels of international engagement with RTÉ Player and RTÉ.ie, which shows engagement with the Irish diaspora. Total RTÉ funding in 2011 was €351m, down from €441m in 2007, which reflects a sharp decline in the national advertising market and has led to a growth in RTÉ’s reliance on licence fee incomes. 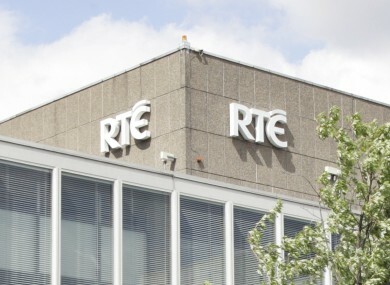 RTÉ’s payroll accounted for 43 per cent of total operating costs in 2011. Total RTÉ non-payroll spend in the Irish economy in 2011 is estimated at €144.5m. It is estimated that RTÉ employees spent 282 million in the economy, while RTÉ staff spent €130 million on the sourcing of goods and services in the Irish economy. The report also says that RTÉ supports the indigenous TV and film production sector, promotes national sport engagement, and sustains a vibrant drama sector. When it comes to public satisfaction with RTÉ, the report shows that the majority of people surveyed said they were satisfied with the RTÉ brand in 2011/2012, and there is also widespread belief that RTÉ is trustworthy. The report can be read at this link (PDF). Email “RTÉ contributed €384 million to Irish economy in one year”. Feedback on “RTÉ contributed €384 million to Irish economy in one year”.